My mother likes to buy a certain food for Sunday breakfast for an extended period of time. Once it was pork soup for weeks, then pratas for weeks, then Mcdonald’s for weeks and these days, she will buy beef noodles. The beef noodles is so good. 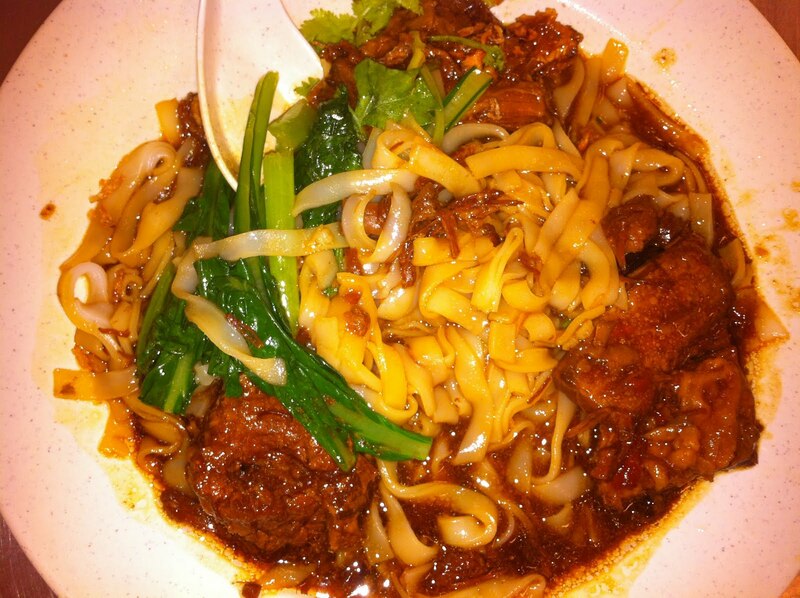 The braised beef melts in the mouth, and the sauce soaks into the noodles completely. So that day, my friends and I went down to the place. The food was still good but WOW! I didn’t know it was so expensive. $7 for a bowl of beef noodles – that’s twice as much as elsewhere, and this is not a “restaurant” despite the name. It’s a coffeeshop. The waitress mixed up our orders: I wanted mixed beef kuay tiao and my sister wanted beef ligaments yellow noodles, but the waitress gave us mixed beef yellow noodles and beef ligament kuay tiao. Since we siblings eat everything, we didn’t mind the mix-up. Then the boss was too much. She calculated the cost and we paid for it before eating. Later, our white peppered pork soup came and she came to scold us, seriously, SCOLD us, “Why didn’t you tell me you still have a soup?” PLEASE, you should communicate with your staff?! How were we to know you didn’t include the soup, when the bill was already so high? I will never go back there again, given the blur and rude service and high price. Yes, the food is good but good food is everywhere in Singapore. Don’t be proud.